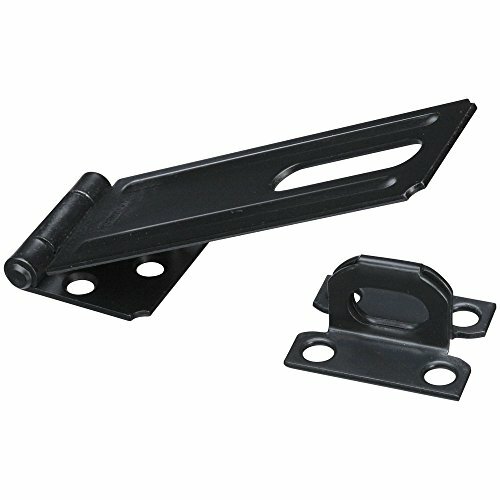 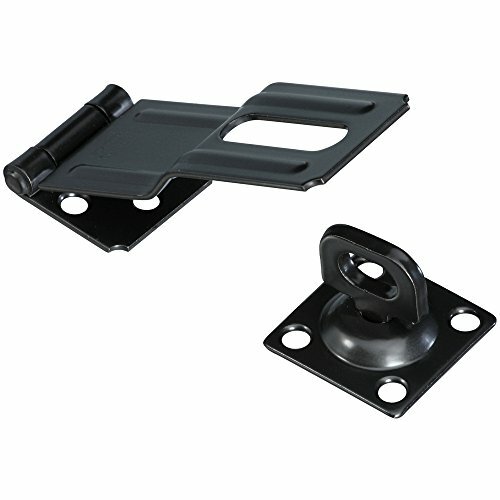 National Hardware N305-987 32 Swivel Staple Safety Hasps in Black, 4-1/2"
Stanley Hardware S754-551 911 Rotating Post Hasp in Black, 2-1/2"
Made of good metal material in black color, used for a long life span.Designed for doors closing, provide additional security, mounts easily.Ideal for using on doors, gates and cabinets, etc.Padlock and Screws are not included here! 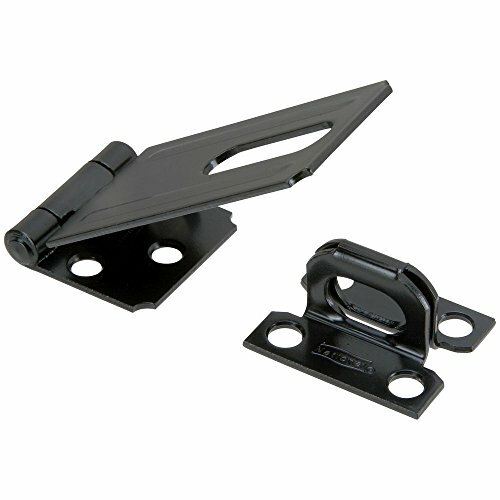 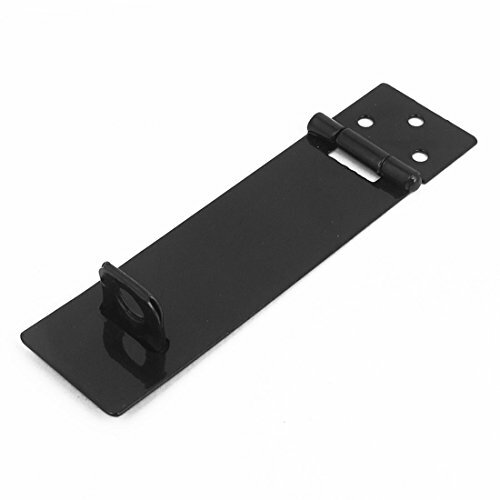 A Swivel Staple Safety Hasp is an ideal security device for doors, cabinets and gates. 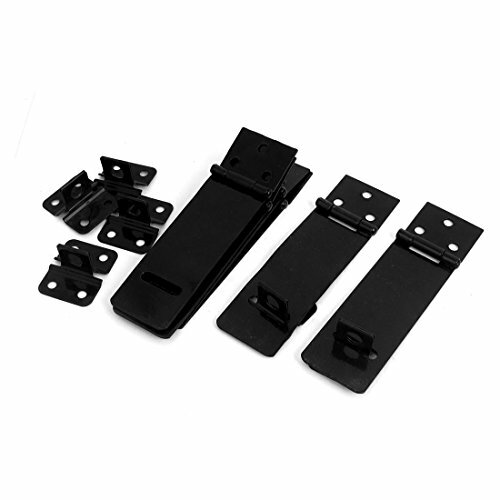 The mounting screws are concealed when the hasp is closed for added security. 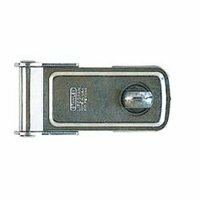 Swivel staple can be turned to secure hasp. 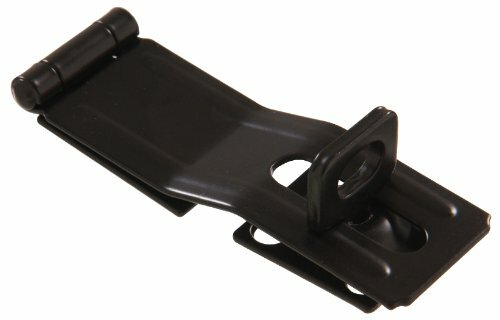 Swivel staple is spring loaded to keep in desired position. 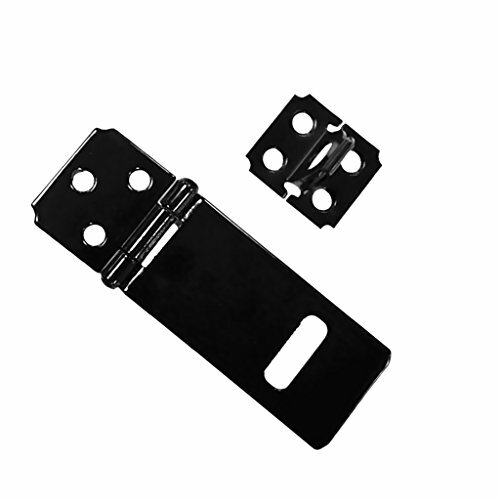 Hasp and Staple is perfect for using on gates, sheds, storage containers, garage doors, general security and more.Screws and padlock are not included here. 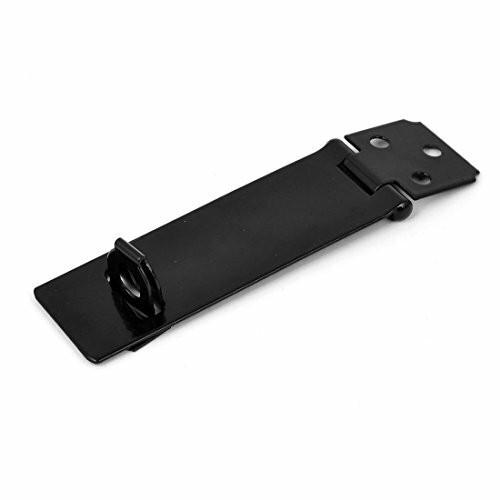 Designed for doors closing, provide additional security, mounts easily.Ideal for using on doors, gates and cabinets, etc.Screws are not included here. 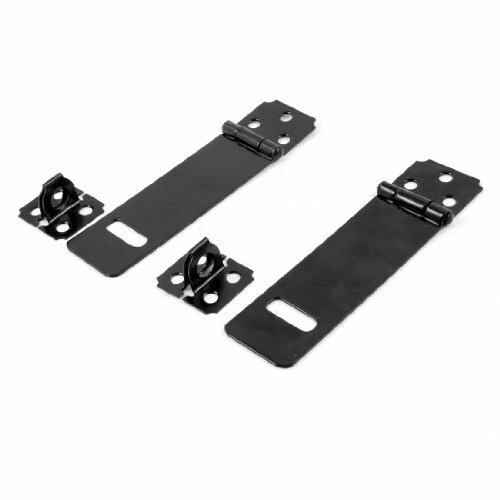 Made of good quality material in green, used for a long life span.Designed for doors closing, provide additional security, mounts easily.Ideal for using on doors, gates and cabinets, etc.Padlock and Screws are not included here!